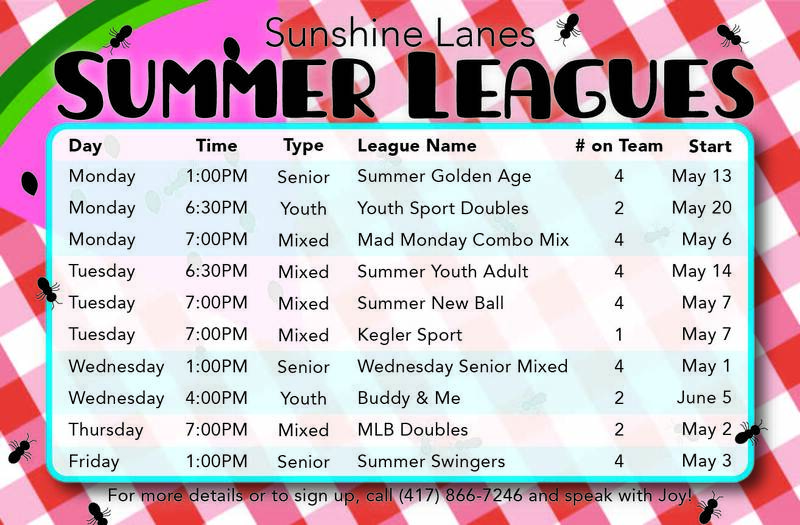 Sunshine Lanes has a long tradition of league bowling. We strive to provide the best in the game of bowling to our league bowlers each and every week. You don't have to be good at bowling to join a league, everyone can participate. We have leagues in the early morning, afternoon, evening, and late night. Competitive, youth, and just for fun leagues too! Sunshine Lanes hosts the Team event of The Greater Ozarks Open, which just began it's 61st year. The Greater Ozarks Open brings close to 8,000 people into the Springfield area and pays out over $280,000 in prize fund money.